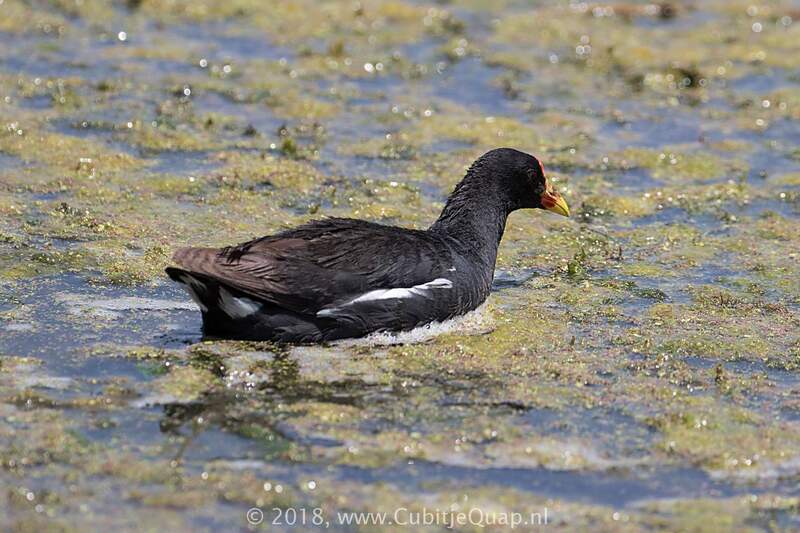 Unlike the glossy purple and green Allen's and American Purple Gallinules, Common Moorhen is a dull, sooty black, and also differs in having greenish yellow legs and a red frontal shield. 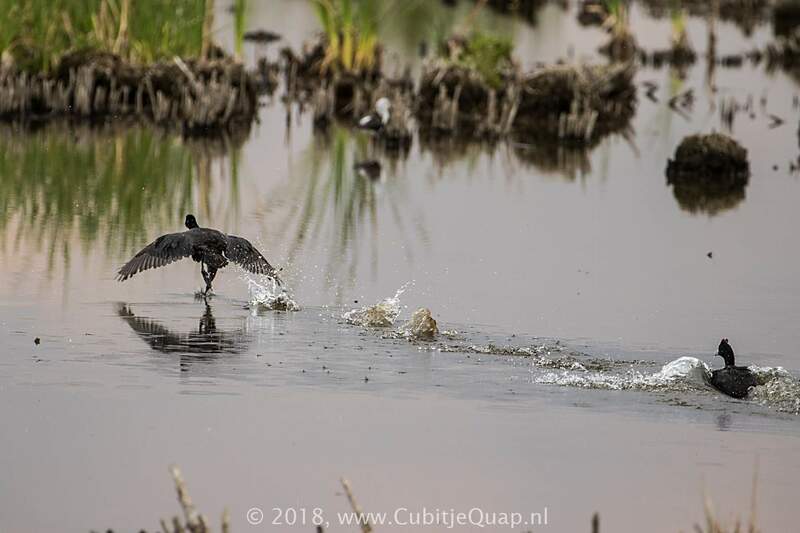 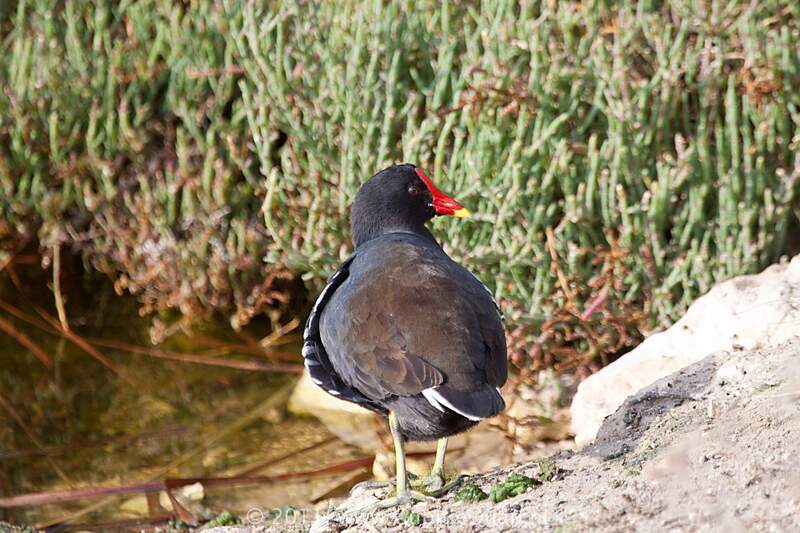 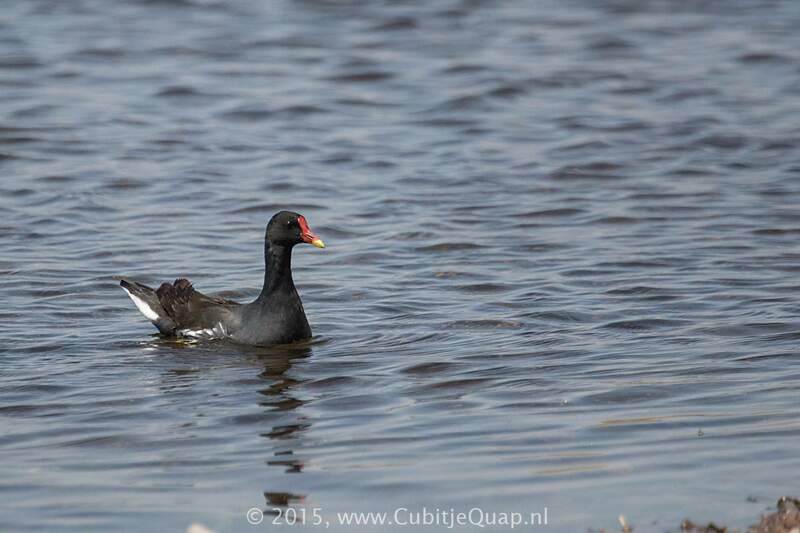 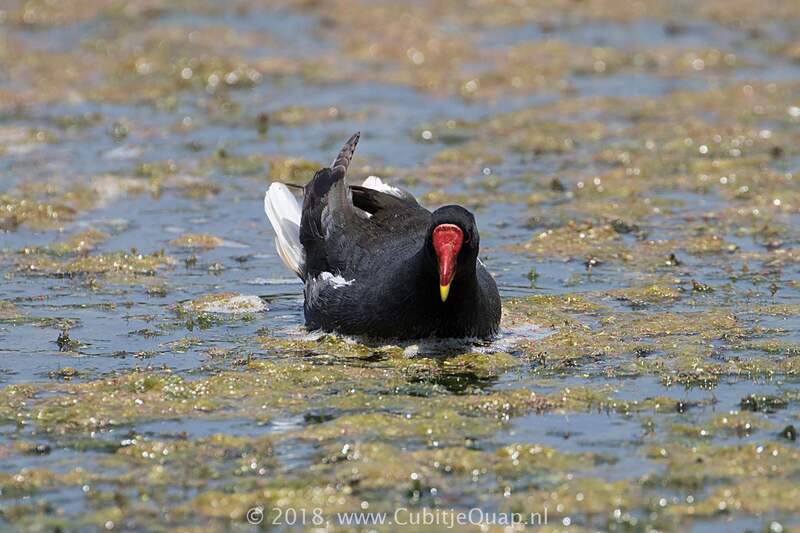 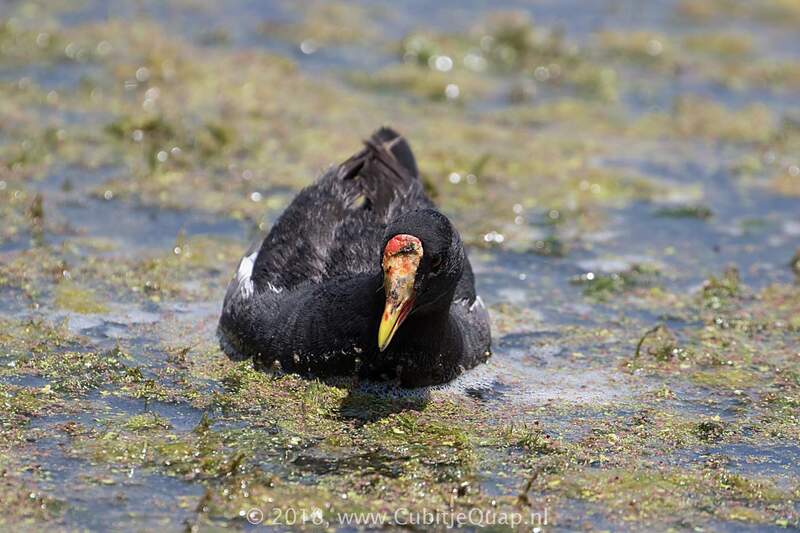 Bolder than Lesser Moorhen and the gallinules, it swims freely in patches of open water. 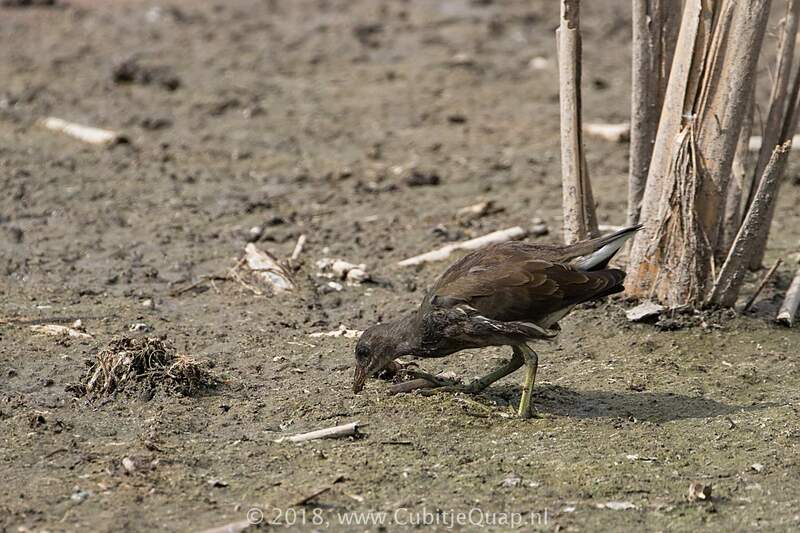 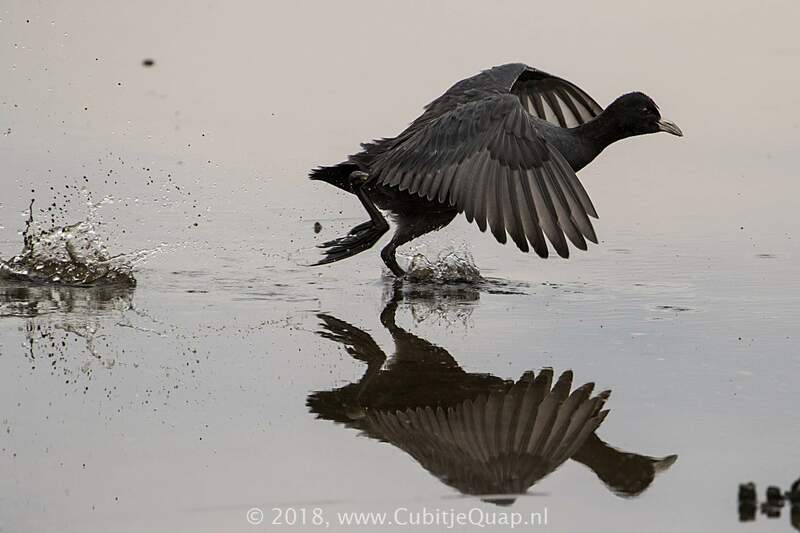 Juvenile may be distinguished from juvenile Lesser Moorhen by its larger size, dark bill and greyer colour. 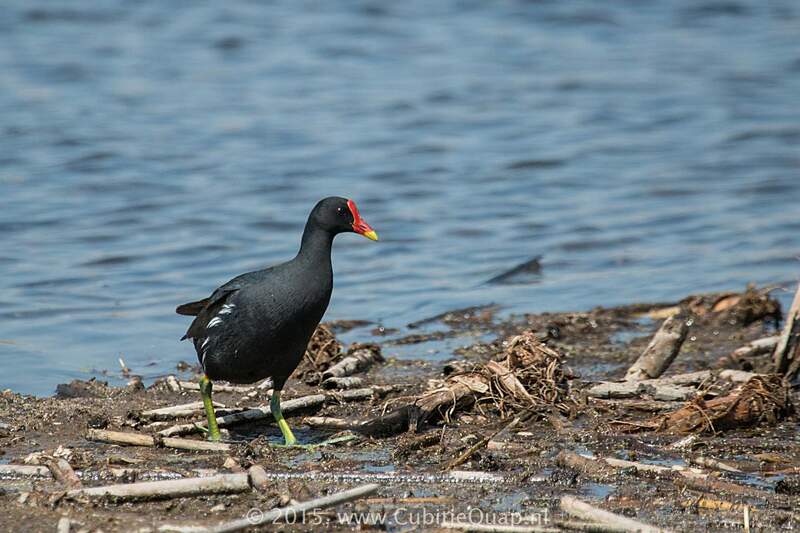 Virtually any stretch of fresh water surrounded by reeds and tall grasses.